Fall is probably my favorite time of year and I love all the baking and comfort foods, who doesn’t? 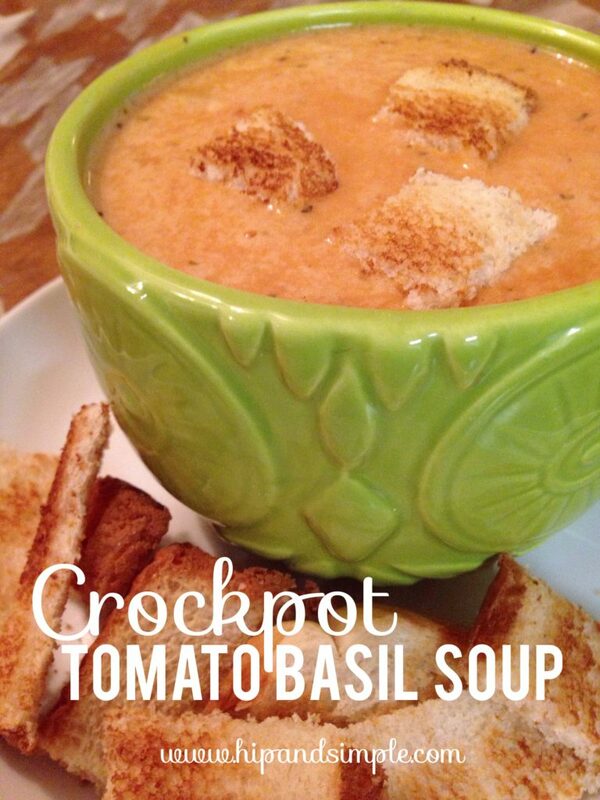 I’m sharing my favorite Crockpot Tomato Basil Soup Recipe with y’all today. I love the crockpot. I’ve made this on the stove before but it meant lots more time over a hot stove which I don’t like so crockpot is my preference. 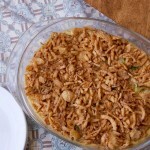 This is a simple, quick & easy dump and go type of recipe. I’ve made it with all fresh ingredients vs the cans and it is equally as tasty so I stick to the easy way when I’m pressed for time, which is almost always. 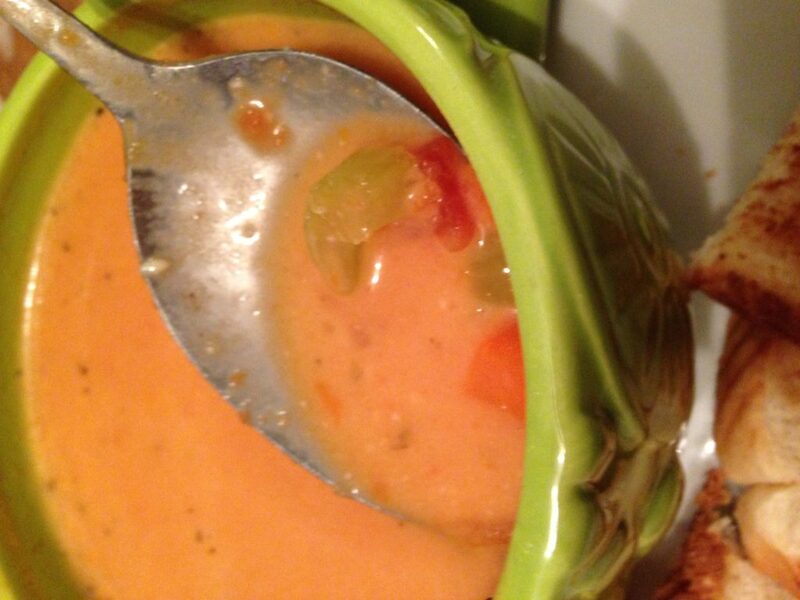 Chop up your celery and carrots and toss it in the crockpot. Cover with chicken broth and diced tomatoes. Sprinkle on your spices. Give a little stir and put your lid on and cook for 4-6 hrs on low or 8-10 hrs on high. It’s not going to look like much when you take off that lid but I promise it will come together soon. About 20 mins before serving, melt your butter in a pan and then whisk in your flour to make a roux. Mix in 3 cups of the soup and your milk. Let the roux cook for about 10 mins and then transfer back to the crockpot and mix everything together. Switch crockpot to “warm”. Stir in your Parmesan cheese. You could be done at this point but you’ll have a very chunky soup. I take my immersion blender and blend it up. If it were just me, I’d make this super smooth but my husband likes a little bit of veggie chunks in his so I leave just a little. 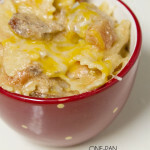 Blend it to your preference and make sure the cheese has melted well. You’re ready to enjoy. I like to serve this with french bread or just plain toast cut into sticks, perfect for dipping! This keeps me full and makes a bunch. I’ve frozen leftover in a ziplock and then reheat on the stove, adding a little bit of milk and salt and pepper as needed. One time my husband made this and read the basil as 1/4 cup or something outrageous like that. When we got home from work, the basil smell was so strong. The soup was not edible. We joke frequently about using basil when cooking. I don’t think he will ever live that down. Aside from that, every time we make this it is amazing. I hope you enjoy it! 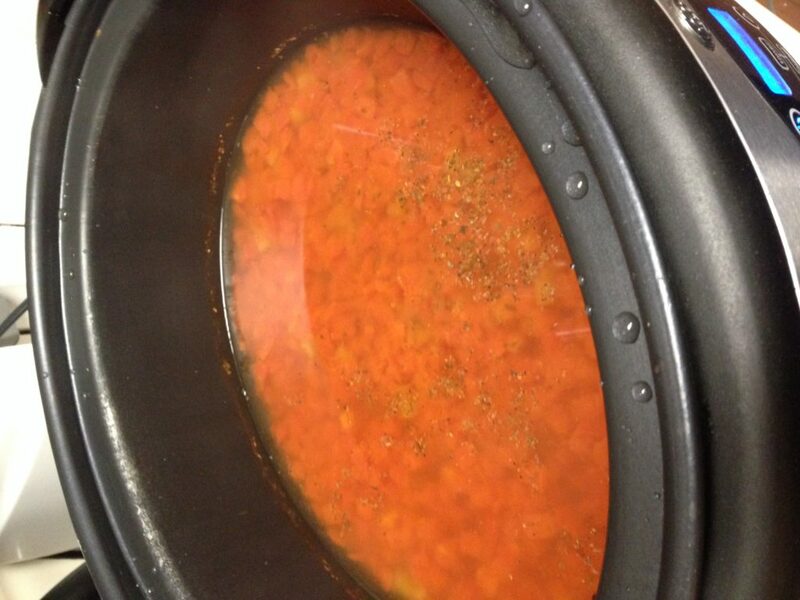 Add your carrots, celery, spices, diced tomatoes and broth in your crockpot. Cook on low for 8-10 hours or high for 4-6 hours. About 20 minutes before serving,, melt your butter in a sauce pan. 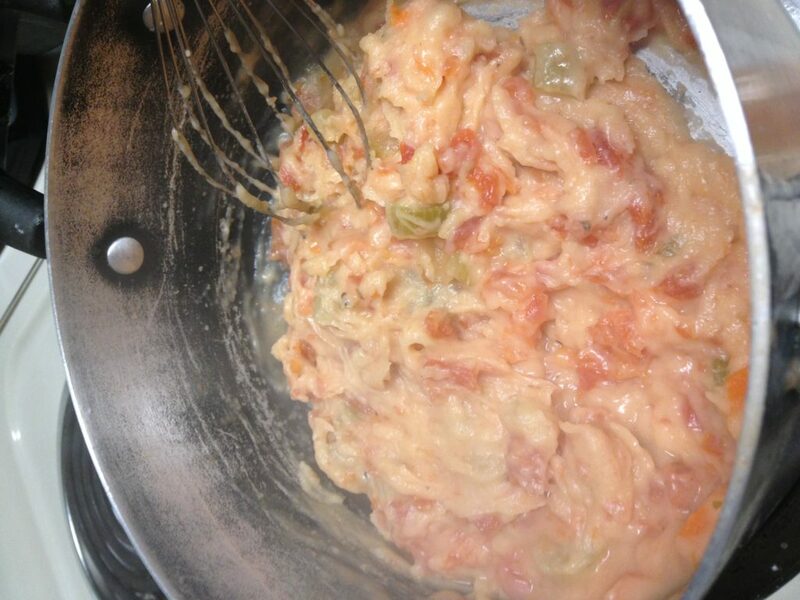 Whisk in your flour until well mixed to start your roux. Stir in 3 cups of soup and then the milk. Let cook for about 10 minutes. Turn your crockpot to warm and add the roux into the remaining soup in the crockpot. Stir in your parmesan cheese and mix well. I like mine to be creamy vs chunky so at this point, I take my immersion blender and smooth out the veggies. I leave just a little as per my husband's preference. Taste and add salt and pepper as needed. This post may contain affiliate links. If you click the link and purchase something on that site, I may be compensated. Any compensations like this help to keep this blog running but add no additional cost to you. 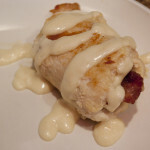 Chicken Cordon Bleu with bacon? ?